The best type of gifts are those that come from the heart. And this one is very special and for some very special girls! 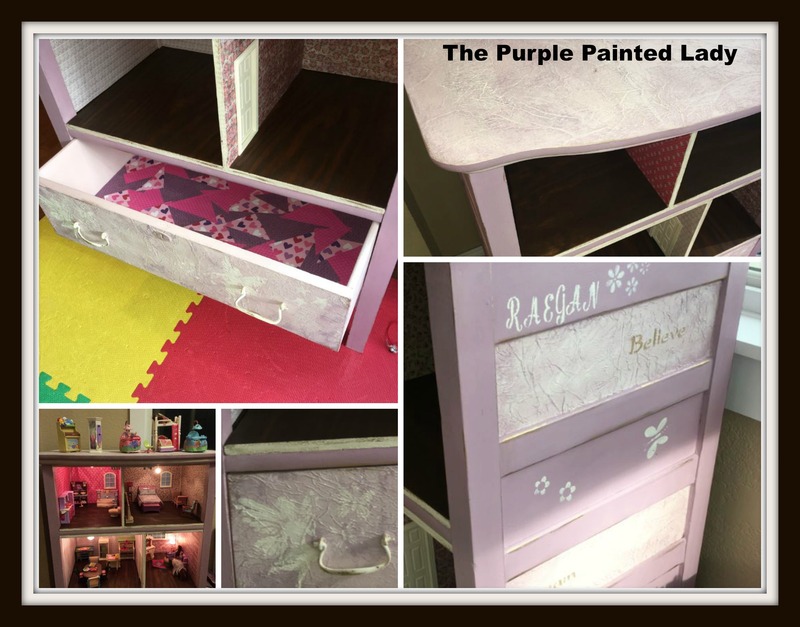 Look what our customer Sophia transformed ……an old wood dresser into something magical for her nieces. 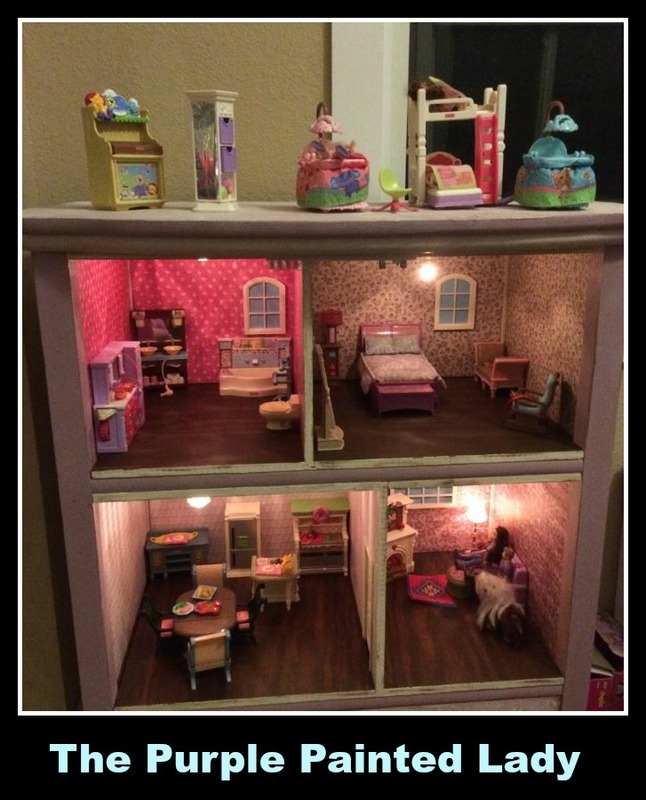 This is a super cool, one of a kind doll house! 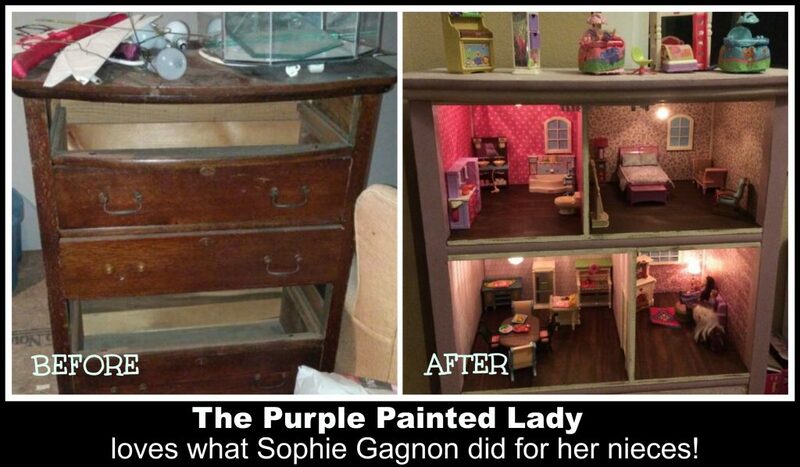 Sophia said it was a lot of work but she had so much fun doing this project and the reaction on her nieces faces was priceless! 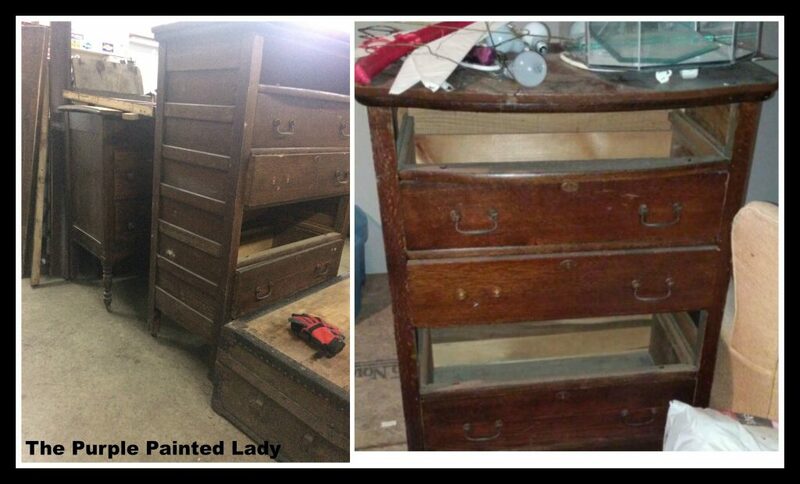 CLEAN: First- the dresser required a real good cleaner. 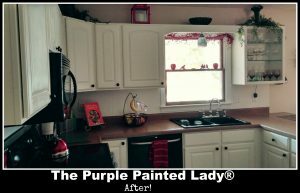 The Purple Painted Lady always recommends to clean your piece with Mineral Spirits, and then give it a fresh water rinse. In this case- you may want to shopvac out the drawer cavities also. 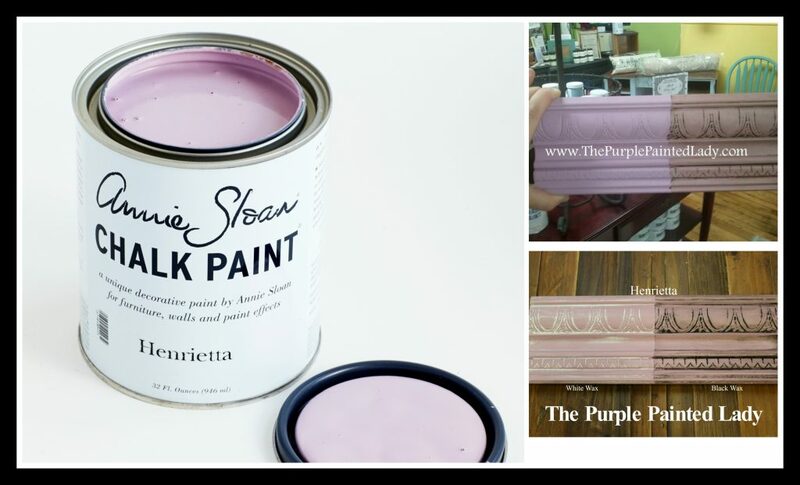 PAINT: The CHALK PAINT colors Sophia used on the dresser were Henrietta, Old White with a 1 to 4 mix of the two. 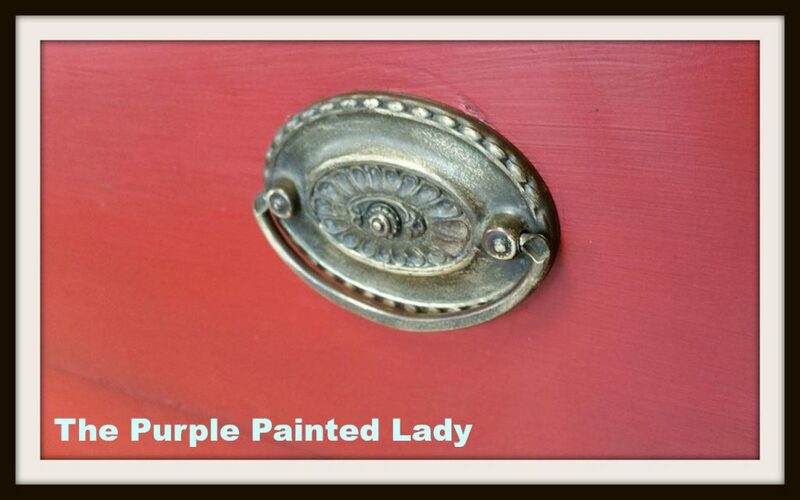 TOP COAT: Sophia used Annie Sloan’s Clear Wax and some King Gold GIlding Wax to finish. 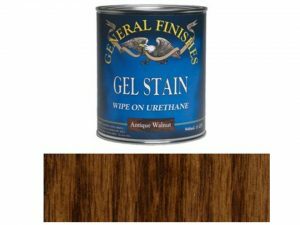 Sophia used General Finishes Gel Stain in Antique Walnut for the floors. Do you have a project like Sophia that you need help or have questions about? 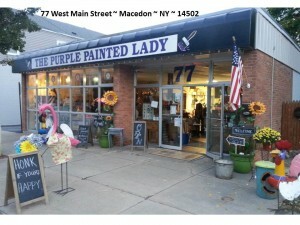 Stop by one of our locations, call us or even email us! We would love to help you with your project! 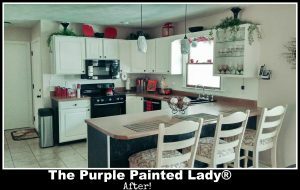 The Purple Painted Lady® loves using Chalk Paint® by Annie Sloan for a Kitchen Remodel! One of our amazing customers, Janette, emailed us with some incredible before and after pictures! We were so amazed by the transformation, we just have to share her process! 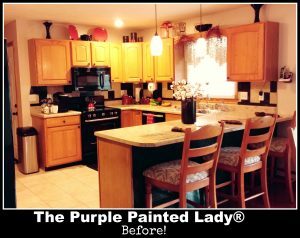 Janette had old oak cabinets that needed a bit or refreshing, but she wasn’t stopping there! 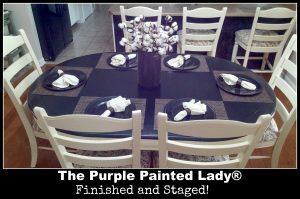 She wanted to make the entire space seem brand new by also refinishing her dining area! 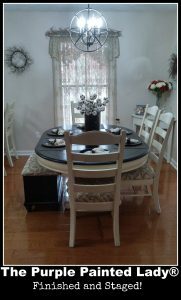 Janette used a mixture of Chalk Paint® by Annie Sloan, colors Old White and Pure White. 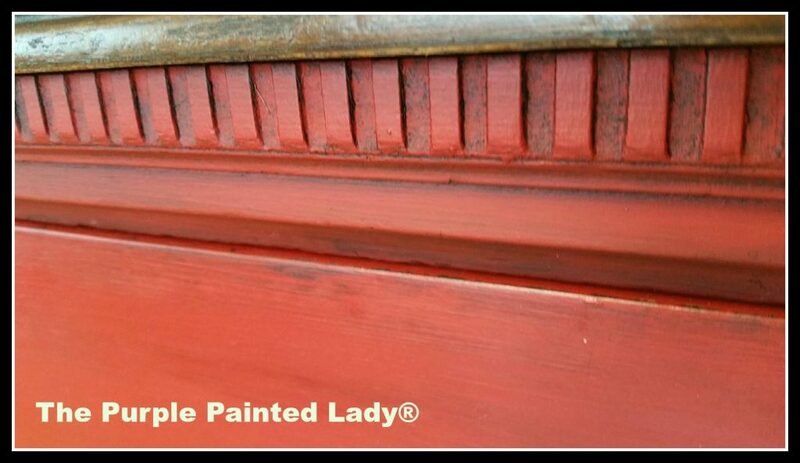 She then top coated the kitchen cabinets with Annie Sloan’s’ Clear Wax. 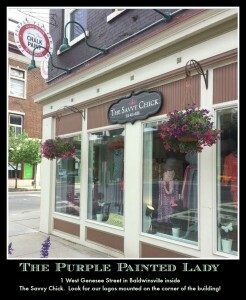 The Chalk Paint typically dries within 30-45 minutes depending on the temperature of your home as well as the humidity! 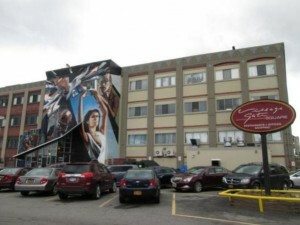 We recommend painting in a temperature between 60-70 degrees fahrenheit. 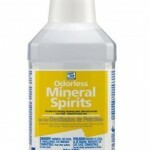 Also, with kitchen cabinets, it is important to first clean them with Odorless Mineral Spirits to remove any oil or grease. Rinse your cabinets with fresh water afterwards to remove any chemicals before painting! For any kitchen cabinet project, we typically recommend watering down the first coat of paint, applying it and then waiting twenty-four hours. This allows the chemistry of the paint to work and really adhere to the cabinets. 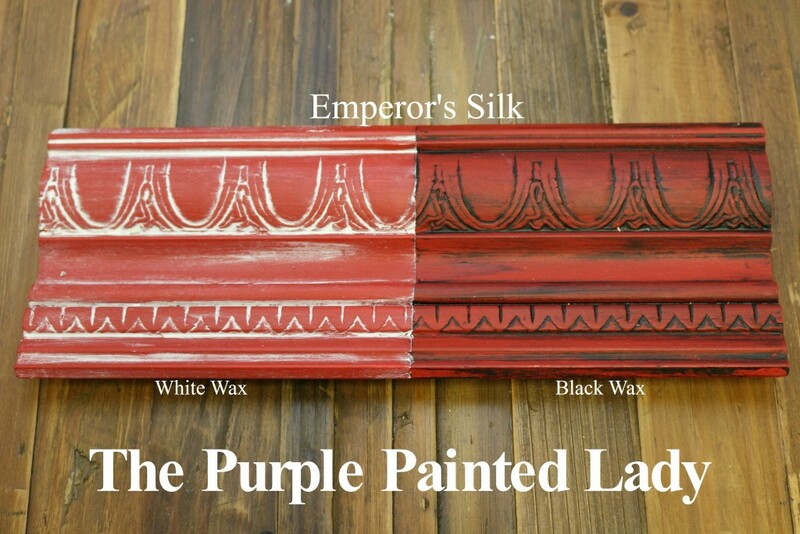 After the first thinned coat, you can continue painting with the full strength Chalk Paint. Once you have satisfactory coverage, you can wax or use the top coat of your choice! Remember never to exceed three coats of anything in a day. Applying more than three coats of anything in a day may cause the bottom most layer to never fully adhere – and that’s not good! 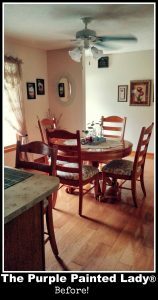 For the dining area, Janette used Old Ochre Chalk Paint® by Annie Sloan on the chairs and base of the table, using General Finishes High Performance Top Coat in a Satin finish to seal them. 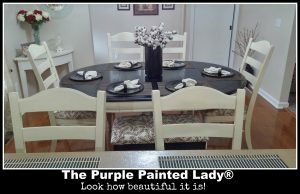 For the top of the table, she used General Finishes Black Gel Stain with General Finishes Arm-N-Seal top coat. And voila! We love Janette’s amazing transformation! Now her space is incredibly bright and inviting. Do you have a project like Janette that you need help or have questions about? 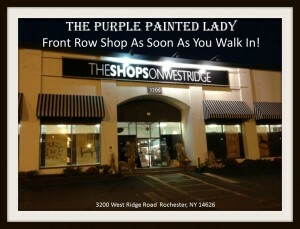 Stop by one of our locations, call us or even email us! We would love to help you with your project! 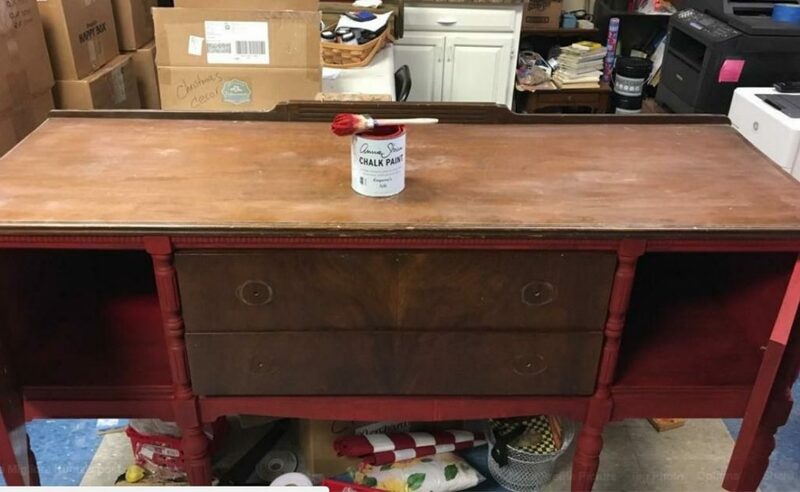 When cleaning out a storage space in our Macedon store, we found an old buffet that had been neglected and was in desperate need of refinishing! 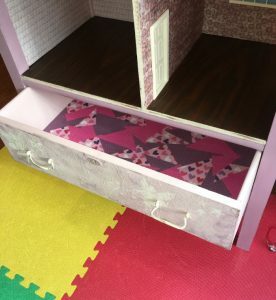 Previously it had just been used for storage, in the sense that things were stored in the drawers, forgotten about, and never seen again…we all have pieces like that. The first thing we did to this piece was clean it with Mineral Spirits, then we gave it a fresh water rinse (as you should before painting any piece). 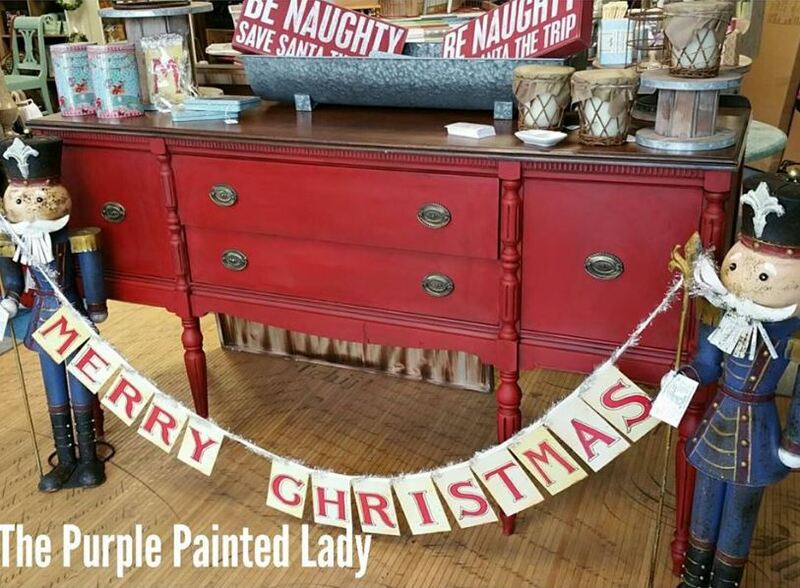 With the holidays approaching, we were feeling festive, so we began painting the piece with Chalk Paint® by Annie Sloan in the color Emperor’s Silk – a bright, fun red, reminiscent of holly berries used for Christmas decorating! 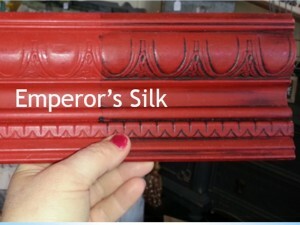 The whole piece got 2 coats of Emperor’s Silk – everywhere except the top, that is. 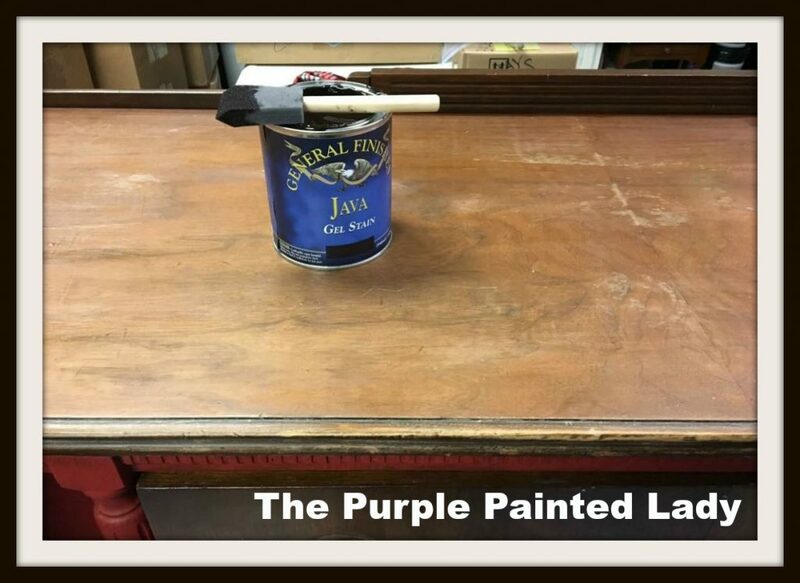 The top of the piece was left unpainted and would eventually be stained with General Finishes Gel Stain in the color Java. 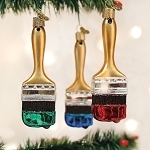 Unlike the CHALK PAINT, the stains require a bit of prep-work (other than just cleaning). 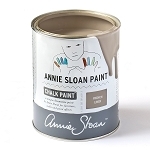 In order to achieve a finish that is true to the intended color on the quart, you have to sand the piece down to raw wood (we love using Annie Sloan’s reusable Sanding Pads for this). 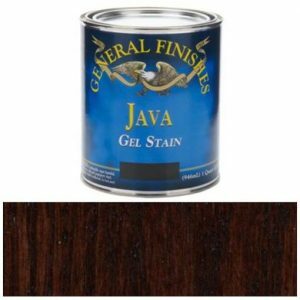 If you stain right over the existing finish, the color will be altered. When applying the gel stain, you brush the stain on liberally (I like to use a foam brush) and then wipe of the excess with any kind of lint free rag…Scott’s Shop Towels work great! On this piece we chose to do the entire surface at once, rather than breaking it up into sections since it isn’t an overwhelmingly large piece. Meanwhile, the rest of the piece that was painted was sealed in Clear Wax, then we added Dark Wax to give the Emperor’s Silk a nice, rich tone. 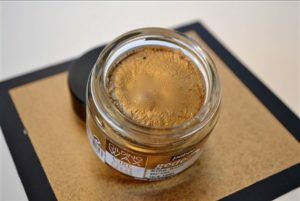 Sometimes using Dark Wax can be intimidating, so if you’re feeling apprehensive, read our post that gives some tips and tricks for using Dark Wax HERE. So what do you think of our festive transformation?